This was the first time in recent memory that the doctor spent a significant amount of time getting to know meand going over everything. Everyone was super friendly and detailed on what they were doing and making sure I was clear. Even the pricing information was upfront and taken care of right away. This was the first time in recent memory that the doctor spent a significant amount of time getting to know me and going over everything. Everyone was super friendly and detailedon what they were doing and making sure I was clear. Even the pricing information was upfront and taken care of right away. 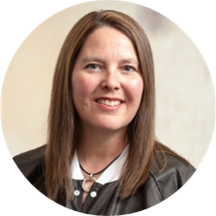 Based in Denver, CO, Dr. Lynne Midgley works at DeWitt Dental Associates, P.C. Dr. Midgley completed her dental education at Marquette University. She is a dentist and dental pain specialist with a focus on cosmetic dentistry. Patients see Dr. Midgley for a variety of reasons, including teeth whitening, cavities, root canals, veneers, and fillings. She looks forward to working with her patients to help provide preventative care education and practice healthy oral hygiene. During her consultations, Dr. Midgley explains patients’ conditions and helps them choose an appropriate treatment plan. She believes in listening to each patient and creating a partnership to maintain and improve lifelong health. Had a crown fall off & was able to see a dentist immediately - really appreciated.